Our family have the tradition of eating Nando’s every Friday evening. Lately we have combined that with a movie night with the kids. It is loads of fun. As luck would have it there has always been a Nando’s relatively close by, N1 city when we lived in Cape Town, Umhlanga in Durban and Parkview next door to Woodlands. I knew there are Nando’s stores in Canada but could not find one in Fernie when were here in September. 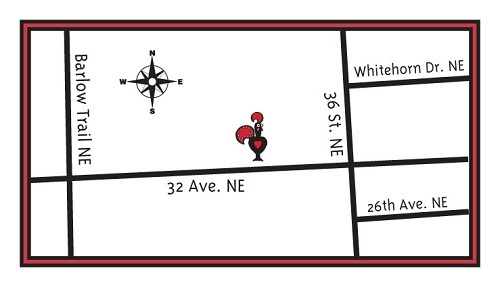 When we were dropping of the rental car in Calgary we happened to drive past a Nando’s. It must have been some sort of a sign, as I now know that there are only one Nando’s in Calgary (which is the 3rd largest city in Canada).All excited we stopped wanting to have some lunch but it was closed. So we had KFC across the road. Not the same at all. We got to Nando’s in Calgary by pure chance! What luck! 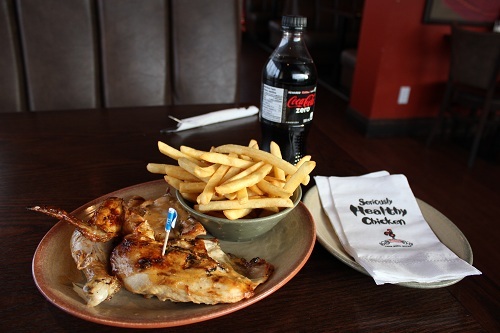 The next time I got to Calgary to pick up the De Jager’s, I left early so I could stop at Nando’s for lunch. I was not disappointed at all. I could have been in the Nando’s in Corlett drive in JHB. They even had beer on tap, which I have not seen in SA. 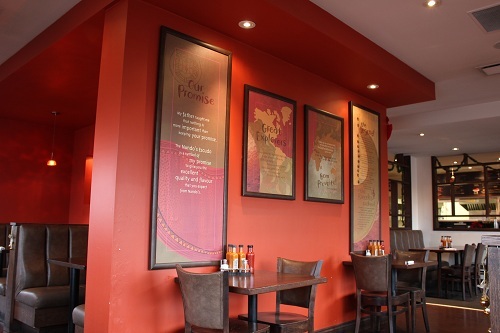 Inside Nando’s in Calgary – Felt just like back home! I ordered my favoured half chicken meal, and it was just like back home. The service was great and the food awesome! Well done Nando’s, I hope you guys have great success and that there will be a Nando’s in Fernie someday! Until them we have to eat another takeout on Fridays, although we all would prefer Nando’s. At least I can look forward to another airport run next week, which I will combine with a stop at Nando’s! This entry was posted in Fernie, Settling in on 2012/12/25 by Justinus.